We are all for speaking your mind; as long as you keep things in perspective. Giving credence to rumours that the Kareena Kapoor-Karan Johar friendship is a little a�?coola�� is news that the actress recently rubbished reports that she has been finalised as the heroine for his film, Shuddhi, and stated that it had, in fact, been shelved. 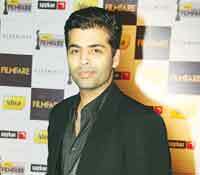 Reportedly, Johar made an aggrieved call to her as he is in talks with Salman Khan and Deepika Padukone for the film. Kapoor may also have rubbed Zoya Akhtar the wrong way when she turned down Dil Dhadakane Do, citing she couldna��t stay away for 90 days on a�?some cruisea�? as part of filming. 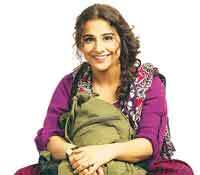 Vidya Balan may be taking her role as a detective in todaya��s release, Bobby Jasoos, quite seriously it seems. During the shoot, the actress received a few a�?love lettersa�� from a mysterious admirera��they would be left on her bed every evening. Not sure if it was a prank or for real, Balan requested the hotel management access to their CCTV footage and sat down with the security personnel to find the culprit. And though it turned out to be a gaga��she finallyA� zeroed in on a crew member who worked with her co-star Ali Fazala��we do laud her determination to get to the bottom of the mystery. After blink-and-you-miss-them cameos, Karan Johar is now playing a full fledged rolea��and a negative one at thata��in Anurag Kashyapa��s Bombay Velvet. Though the role of a rich businessman was initially offered to Naseeruddin Shah, it came to Johar when Shah took too long to confirm. Kashyap then tweaked it a little, and made the character a little younger, to fit Johar. Recently, when KJo declined to take any fee for acting in the film, which stars Ranbir Kapoor and Anushka Sharma, the director handed him a big cheque of Rs. 11, as a token of his appreciation. Even as she hones her acting chops, Alia Bhatt is also fine-tuning her singing chords. The self-confessed bathroom singer first got behind a mic in the recording studio for Sooha Saaha in Highway. And the accolades that came her way emboldened her to try it againa��this time for an unplugged version of Samjhawaan in Humpty Sharma Ki Dulhania. The actress who has been a�?humming the original by Rahat Fateh Ali Khana�? (from the Punjabi film Virsa) didna��t try to ape or match up to the original, but rather made it very personal and relatable. a�?Anyone listening to it will feel they can croon too,a�? she says.